The cutoff date for qualifying for the European Masters 2015 was November 23rd. If the cutoff date had been a week later, Jakub Szwed would probably have qualified. Why? 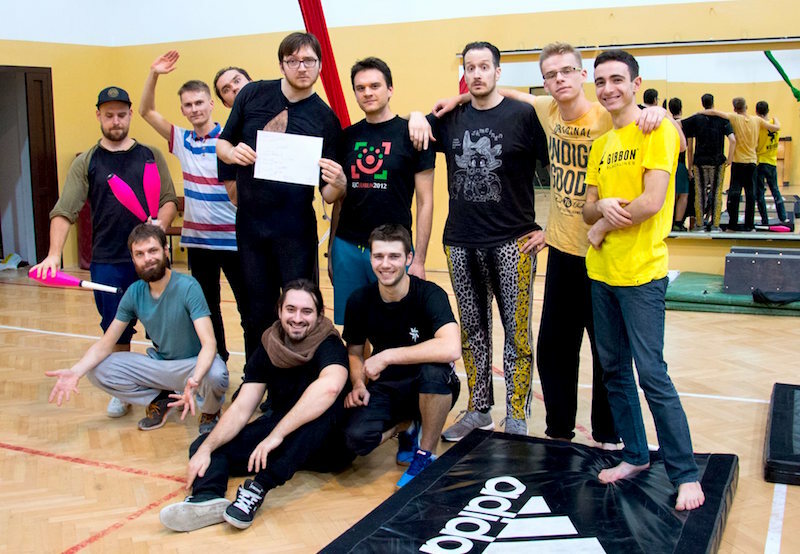 Because of a small tournament held in Lublin on the last weekend of November. Due to it not fitting into the 2015 season, Sztukmistrze Lublin became the first tournament on the 2016 calendar, and the first tournament considered in the 2016 race rankings. Jay Gilligan was in town for workshops and performances, and joined 11 other jugglers in the Fight Night. Jay took part in the first two EJC Fight Nights ever, in 2005 and 2006, winning them both. He qualified as the first seed in Lublin, but met strong competition in his semi-final match against Marek Żmuda, only just winning with a score of 5-4. Then Jay met fourth seed Jakub Szwed in the final, and again the match was decided by just one point. In this case, Jakub won the last point, took the title, and handed Jay his first Fight Night defeat in over a decade, when he lost to Manu Laude in the final match at the Berlin Juggling Convention 2005. Jakub now leads in the 2016 race rankings with 200 points, and Jay is close behind with 120 points. In 2016, all the tournaments played after the cutoff date for the European Masters (which is yet to be determined) will count towards the 2017 race rankings.